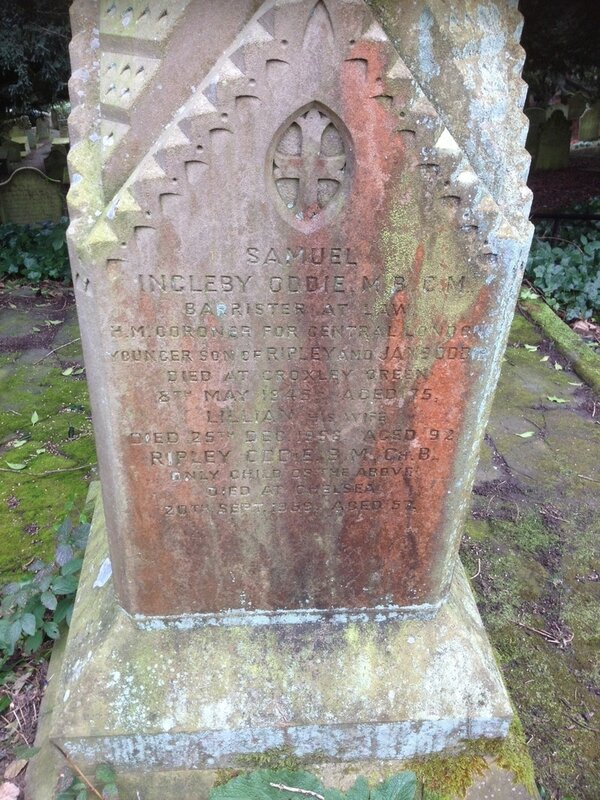 Samuel Ingleby Oddie was a leading coroner for Central London from 1912 to 1939, performing nearly 30,000 inquests. During his career he became intrigued by a number of the cases he heard in court, especially those connected with crime that revealed suspicious circumstances. Samuel came to live at Chess Side, Copthorne Road, with his wife Lillian (nee Brown) sometime after their marriage in 1894 at Christ Church, Harrogate. Samuel added his mother Jane's maiden name ‘Ingleby’ to his surname after his marriage to Lillian. The couple were living in the village by the 1901 census. 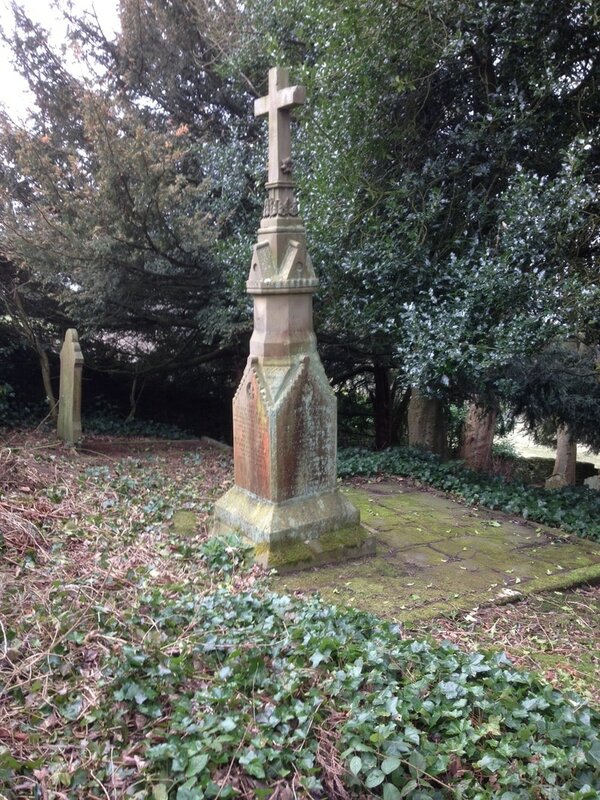 It is interesting to note Samuel signed the Croxley Green census registry on the 27th April 1901 as the Superintendent Registrar, confirming that the Registrar and Enumerator had duly performed their duties carrying out the census for that year. This certainly suggests that he had gained sufficient reputation in the village by that date to be appointed to such a responsible post. 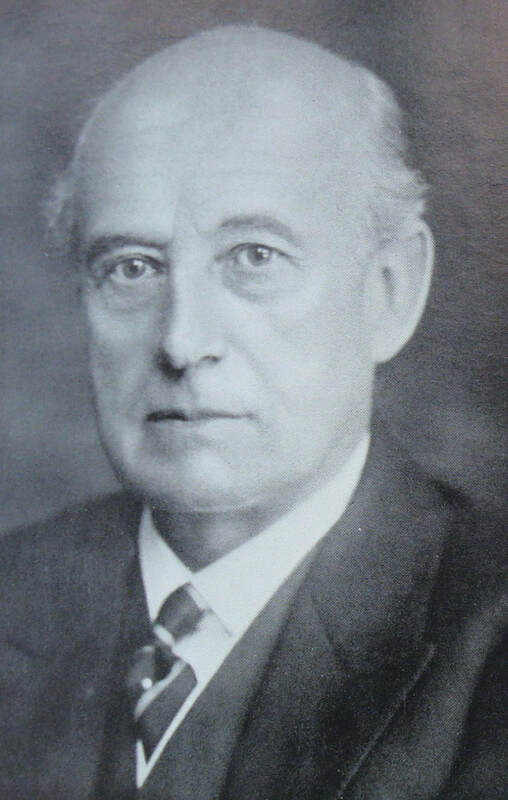 Samuel Oddie was born in 1870. His parents, Ripley and Jane (nee Ingleby), lived in Pateley Bridge, Yorkshire. His father’s occupations, as given in the 1871 Pateley Bridge Post Office Directory, were Ironmonger/Timber merchant/Corn merchant/Linen and woollen draper. Samuel attended Tettenhall School, Wolverhampton, a private school, as a boarder. He was eleven years old in the school's 1881 census records showing he was a pupil. Secretary of the Pateley Bridge Cocoa House. 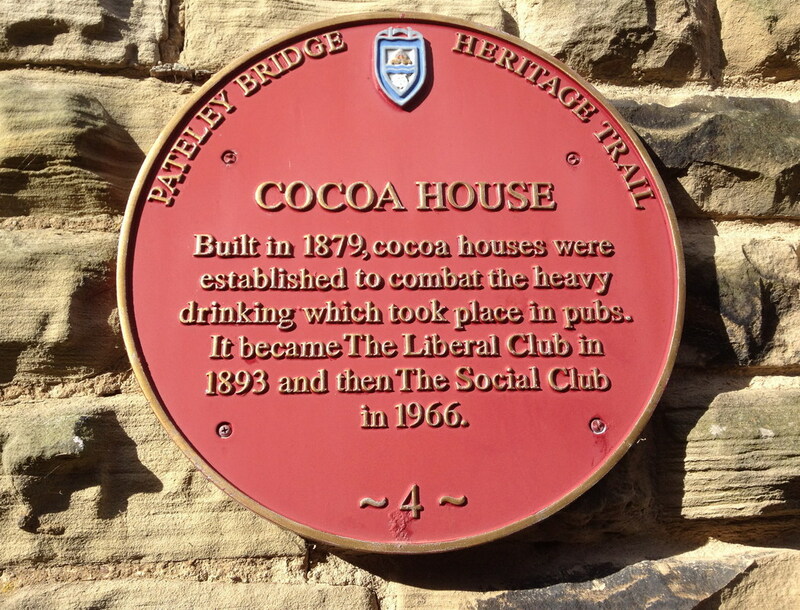 The Cocoa House was set up in 1879 in an attempt to combat heavy drinking in the town pubs by providing an alternative meeting place serving non-alcoholic beverages. 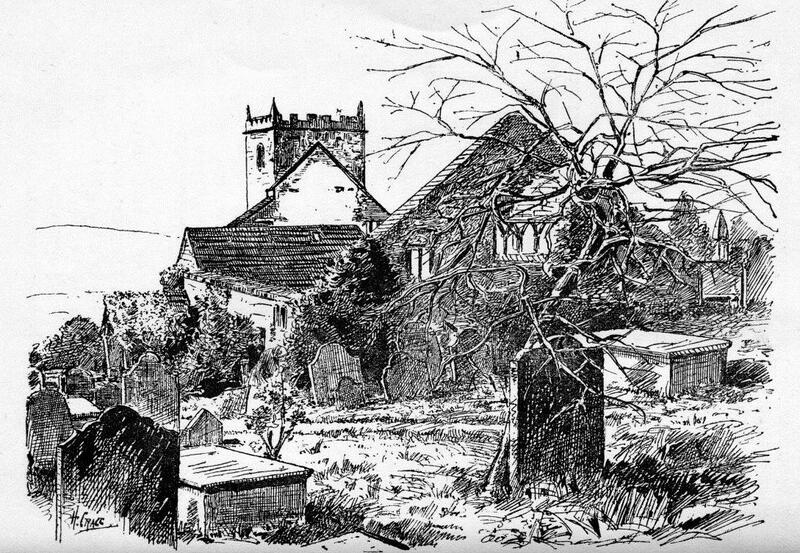 Ripley Oddie's father, also called Samuel, was the first Deacon of Pateley Bridge Congregational Church and might well have had some influence on his son's views on limiting the town's alcohol consumption. The 1891 census suggests Ripley Oddie continued to prosper, as it gives his profession as Banker. © The Royal Cocoa House was built in Pateley Bridge in 1879. Cocoa houses were established to combat the heavy drinking which took place in pubs, the refuge for working men from their overcrowded cottages. From 1891, having qualified at the Medical College of Edinburgh University, Samuel spent the next few years as a naval surgeon. He then moved into private practice as a doctor in Surrey but he found it did not suit him. He decided to read law as he had become interested in the common and criminal law system. Samuel was called to the Bar in 1901, and joined the chambers, in Middle Temple, London, of Mr. Richard Muir (later knighted), one of the senior Treasury Counsel at the Central Criminal Court popularly known as The Old Bailey. Early in his new profession Samuel was one of the supporting counsel for the prosecution in the infamous Dr Crippen murder case. However, he soon developed a keenness to become a coroner. His chance came in 1912 when he was appointed coroner to South West London and the City of Westminster. There was a number of professional gentlemen friends who were keen on criminal law and the psychology of criminals. They formed the Crimes Club in 1903. The members included crime writing authors, barristers, and actors. They met at the Carlton Club, St James' Street, London. Samuel was included in this group from its inception. Early members of the group also included Sir Arthur Conan Doyle - author of the Sherlock Holmes stories; Sir Edward Marshall Hall, KC - an English barrister who successfully defended many people accused of notorious murders and became known as "The Great Defender"; Sir Richard Travers Humphreys – a barrister and judge involved in the cases of Oscar Wilde and Hawley Harvey Crippen; Sir Max Pemberton - a popular British novelist, who mainly wrote adventure and mystery stories. In 1920, Pemberton founded the London School of Journalism. He was married to Alice Tussaud, granddaughter of Madame Marie Tussaud and daughter of Joseph Tussaud who lived in New Road, Croxley Green. Others who joined the Crimes Club and were fascinated by the criminal mind included Sir Bernard Spilsbury and P. G. Wodehouse. They would meet in private over regular dinners to discuss many notable cases, including the Jack the Ripper murders. The meetings of the Crimes Club and the actions of its members helped to bring about the Court of Criminal Appeal Act 1907, as well as shaping the justice system and forensic science. Samuel retired in 1939 after twenty seven years and set about writing his autobiography, 'Inquest', published in 1941. He died aged seventy-six on 8th May 1945, the same day as the WW2 hostilities in Europe came to an end. Samuel and his wife Lillian had one child, a son called Ripley named after his grandfather. He was born in 1902 at Chess Side and died in 1959 aged fifty-seven Chelsea London. Lillian died 25th December 1956 aged ninety two. 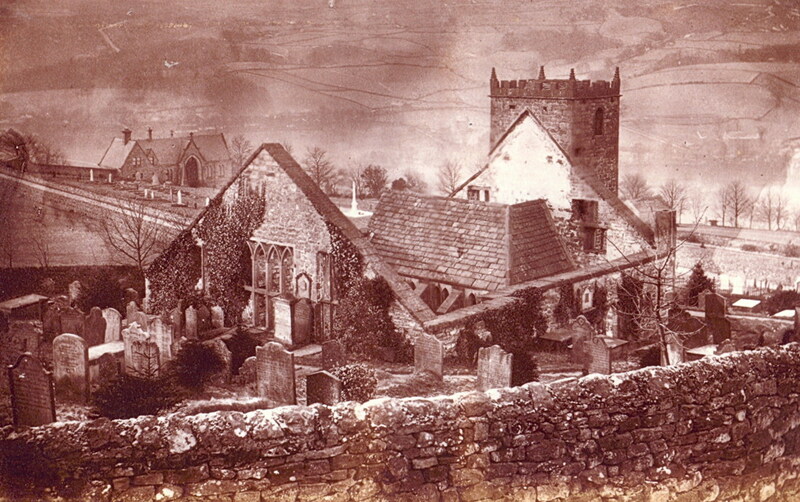 All three are buried in a family grave in St Mary's Churchyard Pately Bridge. DIED 25th DEC 1956 AGED 92. RIPLEY ODDIE, B.M., CH. B. 20th SEPT 1959 AGED 57. British Medical Journal 26th May 1945 -Obituary S. Ingleby Oddie, M.B C.M.